This afternoon tea is every fashionista’s dream! The legendary designer spread includes a stunning selection of catwalk inspired treats (think handbag biscuits) all of which change every 6 months to reflect the seasonal fashion trends. This delicious array includes: biscuits, bakes and fancies, a flavoursome collection of miniature savoury skewers, elegant canapés, taster spoons and tea sandwiches. To drink you can choose from an extensive collection of teas or opt for a glass of champagne to wash everything down with (for an additional cost). A stylish way to enjoy an afternoon full of treats! 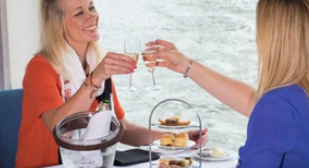 For a relaxing and memorable way to see the stunning sights and landmarks of the Capital, this Afternoon Tea cruise is a perfect way to experience it, it combines breathtaking views, food, drink and music as you set sail along the River Thames. 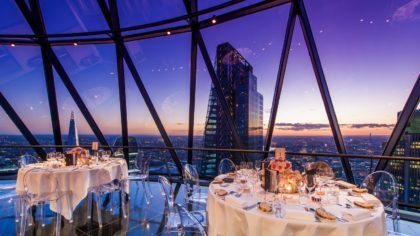 A delicious selection of finger sandwiches and desserts are served during the hour and 15-minute boat ride, head to the top deck where you will see London’s iconic skyline from the unique vantage point, it really is a sight not to be missed! The Sanderson Hotel in London hosts a fabulous whimsical Alice in Wonderland style afternoon tea which will definitely not disappoint! 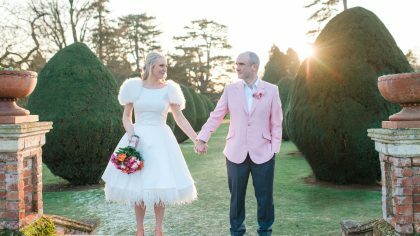 With menus hidden inside vintage quaint books and cute tea pots adorned with Kings and Queens-the Mad Hatters Afternoon Tea is an interesting alternative to the British tradition. Delicious treats include Ham and Parmesan Croque Monsieur, Smoked Salmon Scotch Quails Eggs, Queen of Hearts Rose and Strawberry Jammy Dodger and a delightful Mad March Hare Vanilla Pocket Watch Macaroon- yum!! Not forgetting you can wash everything down with Alice’s exotic fruits ‘Drink Me’ potions and a selection of teas or glass of champagne, a wonderful but fun way to immerse yourself into the classic story. 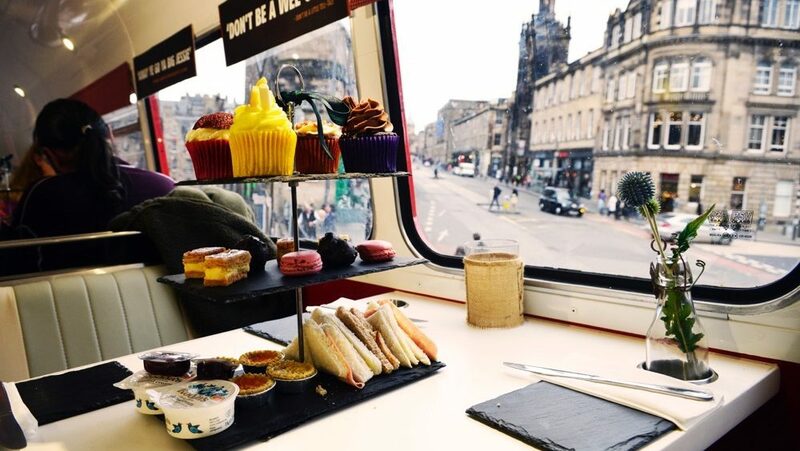 What better way to take in the sights of the beautiful Scottish city of Edinburgh than by bus whilst tucking into an incredible Afternoon Tea. You will be served a feast of cupcakes, warm scones with cream, jam and strawberries, finger sandwiches, mini quiches and petit fours. 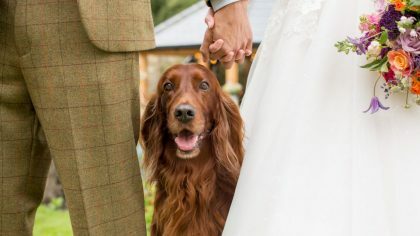 Guests receive a glass of Prosecco on arrival followed by tea or coffee to compliment your delicious food. 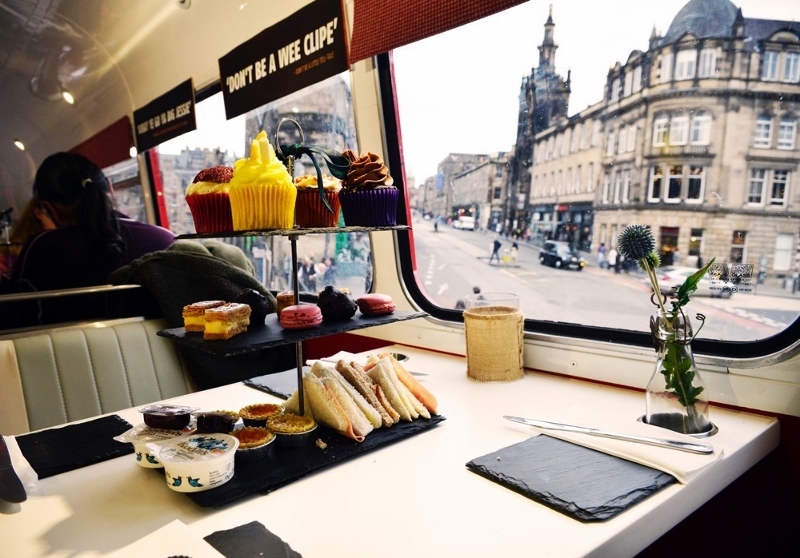 The tour will guide you round all of the famous historic sights of Edinburgh, lasting 90 minutes this Afternoon Tea Tour Bus is certainly an experience that you will not forget. If tradition isn’t your thing and your taste buds need a little more excitement the stylish Australasia restaurant in Manchester’s trendy Deansgate is definitely a tasty alternative. 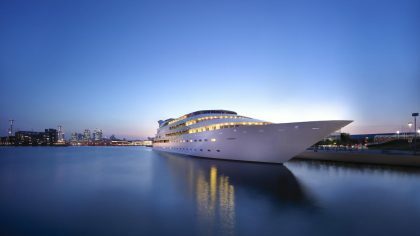 The Asian High Tea offers a combination of modern Australian cuisine with Pacific Rim flavours. Served in two servings the first a three-tier sushi and salad selection, served with a complimenting glass of Spee’ Wah Australian Champagne and the second-three tiers of sweet indulgence, served with your choice of loose leaf or flowering tea- delicious! !